People often ask me about the eating habits of the wiley permit. Most often, I tell people that live crabs are almost unfair when in pursuit of one of the flats most prized sportfish. But they’ll eat almost anything they can chase down. Live shrimp, crabs, small fish, and…worms. The Palolo Worm hatch causes an insane reaction from huge tarpon to focus in on that particular food group. The reasons are still unknown but theories abound. From their protein content to possibly a pre-spawn viagra dosage, everyone has a theory. 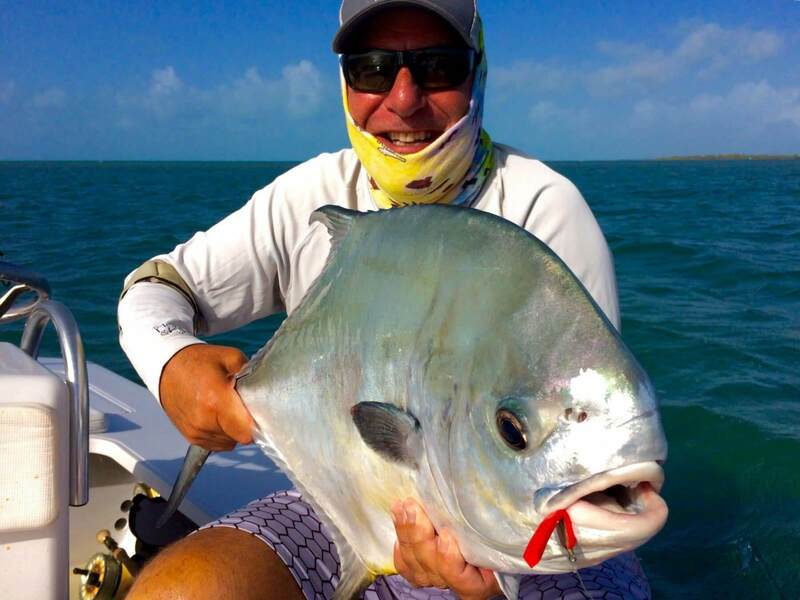 But here is proof positive that a permit will not only eat a top-water fly, but it will eat a worm imitation just like the tarpon. Not my first choice when fishing for permit, but when the tarpon are around, so are the permit. Make the presentation right in the face of the permit and start stripping. Brings the “jack” out of them, as in their close relative, the jack crevalle, which is a voracious feeder with a feeding frenzy of epic proportions. So next time you’re out fishing in the Florida Keys for tarpon on fly somewhere around the “worm hatch,” don’t pass up the opportunity the give the permit, or black-tailed devil, a shot at some red viagra!